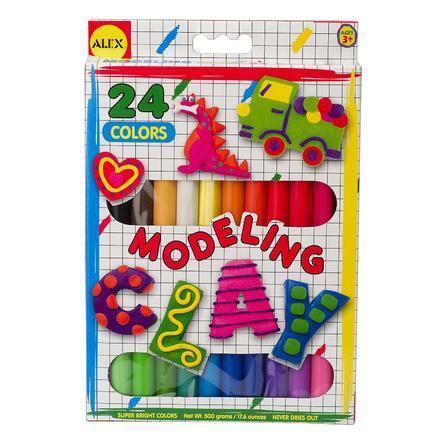 Alex Toys ALEX Toys Artist Studio Modeling Clay with 24 Colors Just $14.16 Down From $28.32 At Sears! You are here: Home / Great Deals / Alex Toys ALEX Toys Artist Studio Modeling Clay with 24 Colors Just $14.16 Down From $28.32 At Sears! Sears has this Alex Toys ALEX Toys Artist Studio Modeling Clay with 24 Colors on sale for $14.16 (Reg. $28.32)! Soft modeling clay never dries out Includes 24 super bright colors 1.1 lb. total weight.